Our weather here in Vermont has been amazing for the past month. Gorgeous, 80 degree days with very little humidity (knocking on wood). 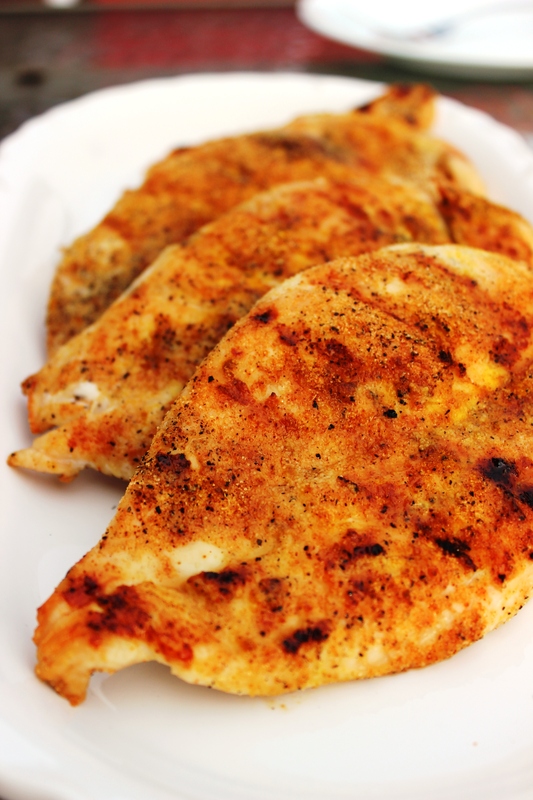 It’s time to put our grill to full use and not dirty any pots or pans in the house. Thankfully our garden has been producing a ton of radishes and I knew I had to figure out a way to be able to utilize them on the BBQ Grill. Before our low-carb days, we used to make pocket potatoes all the time. I figured I’d give it a shot with some fresh radishes and see how they would turn out. Ahhhhmazzzing! Seriously, I love the versatility of radishes and how you can use them in so many recipes to replace other ingredients. When you cook them, they change their flavor so much. If you haven’t tried them yet, I highly recommend giving this recipe a try. 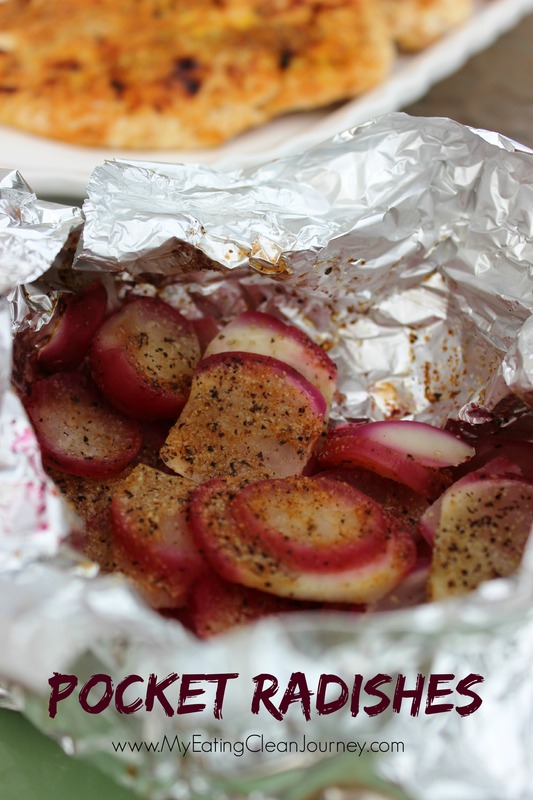 Since radishes are usually very small, utilizing aluminum foil help keep them from falling through the cracks of the grill. Wash your radishes, trim the roots and greens and then slice them. 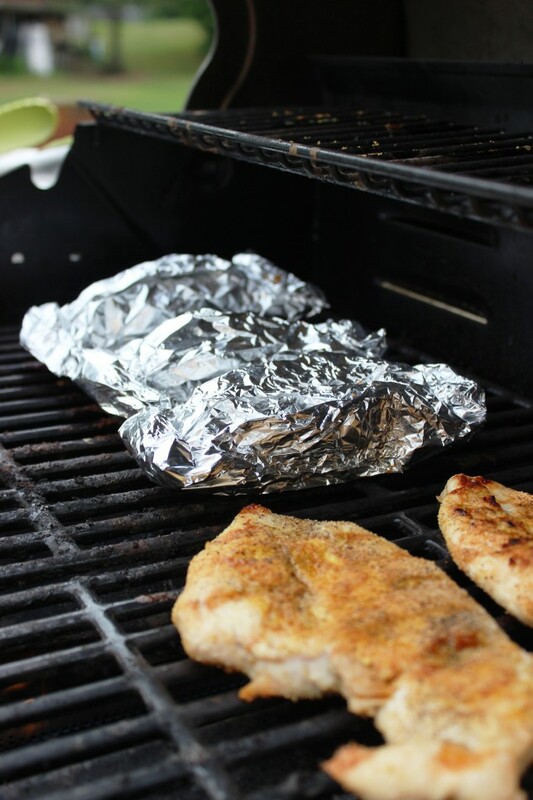 Layer them onto a piece of aluminum foil. Sprinkle with whatever seasoning you’d like. I used garlic powder, seasoned sea salt and pepper. 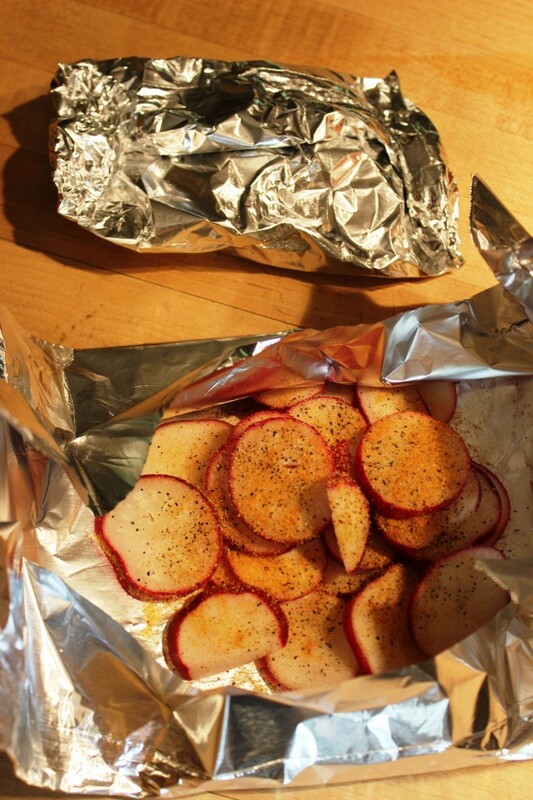 Then take the ends of the foil and wrap up your radishes, sealing the ends so the steam doesn’t escape the packets. Now, it’s grill time. Put them on a pre-heated medium heat grill and cook for about 15 minutes. The radishes will turn semi-translucent and will soften up like a cooked potato. We enjoyed some BBQ Chicken along side the radishes. I used the same blend of spices to rub on the chicken. They cook for the same amount of time, flipping the chicken after 7-8 minutes. With Fourth of July just around the corner, check out these amazing recipes from my Foodelicious Friends. Join us for the #Foodelicious July 4th Recipe Roundup! I’ve never tried grilled radishes, looks interesting! 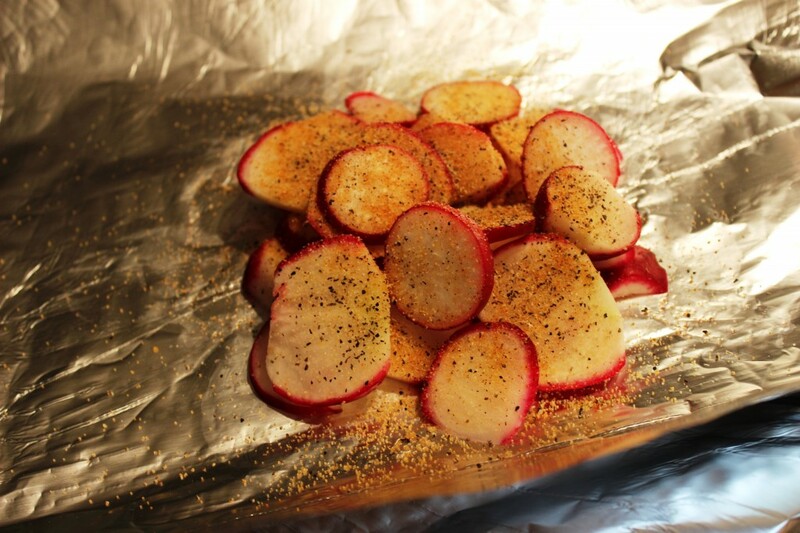 I’ve never cooked my radishes before.You make them look really good. I have some from my garden in the fridge that would be great for this. Thanks for the recipe. i need to get on board the radish train. For some reason I always overlook them! I have never cooked radish’s before. What a great idea! Yummy! I love radishes and have never thought about putting them on the grill. Thanks for the idea! I can’t have the chicken but the radishes look delish! Never cooked radishes before. They look very tasty, I bet my mom will enjoy this. Now radishes are one veggie I would have never thought to grill! Genius!